Florida boasts 51 state-wide fabulous fairs! Who doesn't love a fair? There is something about the lure of a bustling midway with its unique sights, sounds, and smells. Nothing can match the thrill of the stomach-churning rides or taking a chance at the midway games. But, the bottom line? It's all about the food. It's surely where gastrointestinal nightmares are born, but who can resist the cotton candy, ice cream, and things fried that you never thought of frying? Florida residents are fortunate to have 50 chances each year to take advantage of one of the best entertainment values around — county fairs — 51 if you count the Florida State Fair. County fairs can be found throughout Florida — from the rolling hills of the Panhandle to the sandy shores of South Florida — and they highlight the communities where they are located... making each one different. Besides the midway, livestock competitions and exhibits, agricultural exhibits, arts and crafts and live entertainment provide an exciting day for the entire family. While every county fair is unique, there are a few standouts. The Miami-Dade County Fair and Exposition ranks as one of the largest and most successful fairs in the nation and attracts more than half-million visitors every year. For over 60 years, the all-youth Southeastern Youth Fair in Ocala is where young people have showcased their 4-H and FFA (Future Farmers of America) skills; but, one of the most popular components of that fair has to be the two-day ​Florida High School Rodeo, where young cowboys and cowgirls show off their roping and riding skills. The Florida Strawberry Festival provides outstanding exhibits, low-cost nationally acclaimed entertainment... and, of course, plenty of those tasty red strawberries. Take advantage of advance ticket sales, often available online and at special ticket offices. Save a bundle on packages that include admission, ride wristbands and drink coupons. These are often only available in advance. Look for special offers and coupons available on social media, in newspapers or at restaurants. Take advantage of special days. Often fairs offer special admission discounts to children, seniors and special interest groups on certain days. Some days may even be set aside as free admission days for kids. Park at an off-site lot and ride free shuttles. Pack a picnic lunch or carry a few healthy snacks and a bottle of water. 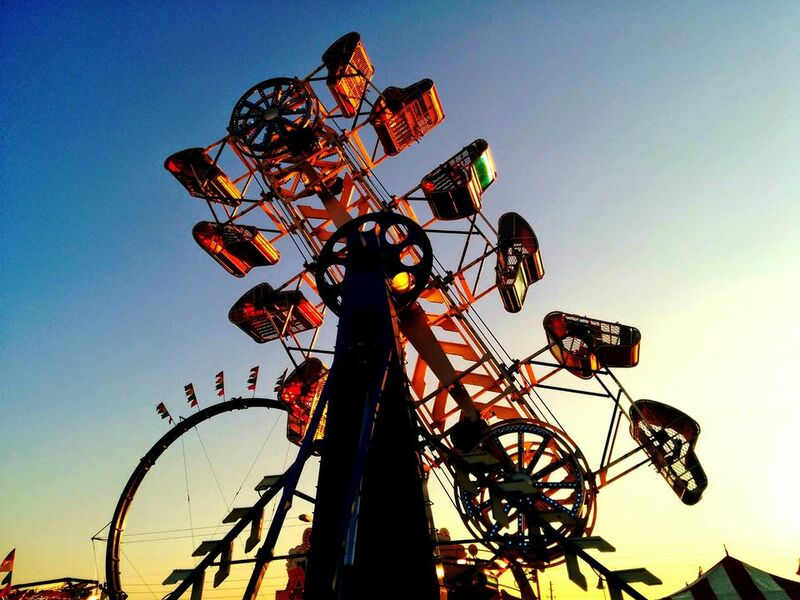 Florida's fairs are held in the fall, winter and early spring. Mostly dry conditions and mild temperatures during those months allow Floridians a chance to enjoy outdoor events while giving carnival workers year-round employment.